How talented is Cerrie? 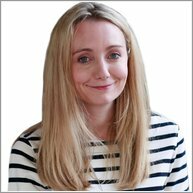 She presents CBeebies TV shows, she’s a trained actress, and she’s published two lovely picture books. (Snowflakes and Mermaid.) But she’s not done yet! Now Cerrie whisks you off on a whirlwind adventure in her first chapter book. And it’s a delight! Meet Harper: a little girl who lives in the City of Clouds. 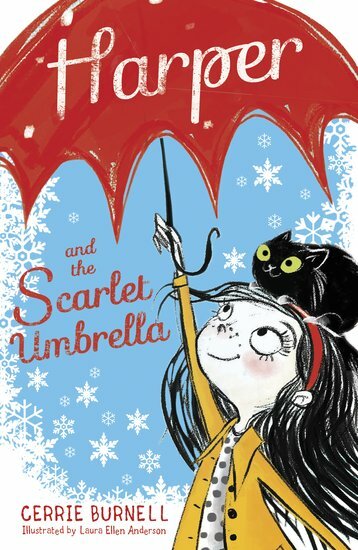 When her beloved cat, Midnight, goes missing, Harper knows only her magical scarlet umbrella can find him. So she opens her umbrella and is carried up into the sky. But when she stumbles upon the wild Midnight Orchestra, her cat isn’t the only amazing thing she finds…. Cerrie Burnell is a much-loved presenter on Cbeebies. She was named in the Observer’s top ten children’s presenters and also featured in the Guardian’s 2011 list of 100 most inspirational women where she received praise for tackling disability head on. Cerrie divides her time between London and Manchester. Her bestselling picture books Snowflakes and Mermaid, illustrated by Laura Ellen Anderson, have won critical acclaim. Magical adventure Harper and the Scarlet Umbrella is her first novel for young readers.